I love shopping at Aldi Foods! Well, love might be a strong word, but I am so glad we have one in our area. 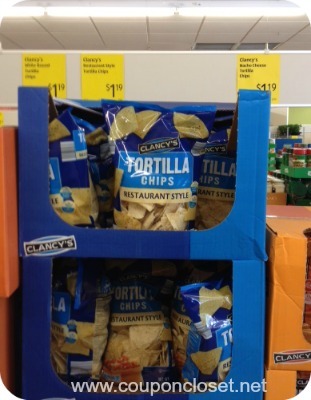 There are lots of great things I prefer to buy at Aldi than anywhere else, because it can save me money. My shopping trips to Aldi are also short and sweet, which I do love! I was apprehensive the first time I headed to Aldi. I had a lot of questions because it seemed like a different “type” of store and I didn’t know exactly what to expect. 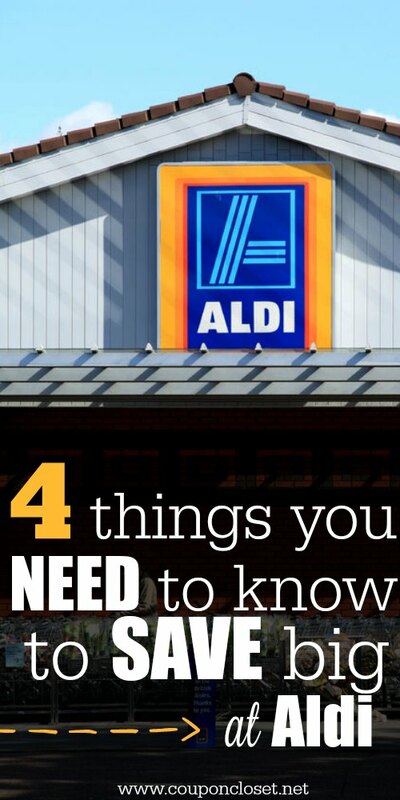 If you are unsure if you should shop at Aldi, you are going to love these 4 tips that you need to know before you shop. Just a quarter? Yes! This is not for your groceries, but for your shopping cart. You simply insert your quarter into the little contraption on your cart and its all yours. Do you seriously have to pay a quarter for a cart? No, actually, you are not paying for the cart. You can consider this a “deposit”. You get your quarter back when you return your cart to its rightful place (instead of leaving it stranded in the parking lot). This is a really important tip! 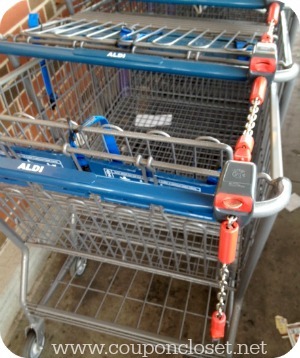 Aldi cashiers do NOT bag your groceries for you. If you do not bring your own bags, you will either have to buy some Aldi bags (they offer paper, plastic and reusable bags) or load your groceries into your vehicle all loosey-goosey. What types of bags can you bring? You can bring ANY bags! They can be reusable cloth bags, plastic Walmart sacks or anything else in between. The cashier will put your loose groceries in your basket. You can then pull off to the side and bag your own groceries in the store or head out to your car and bag your groceries there. Whatever you do, don’t forget to return your basket so you can get your quarter back. 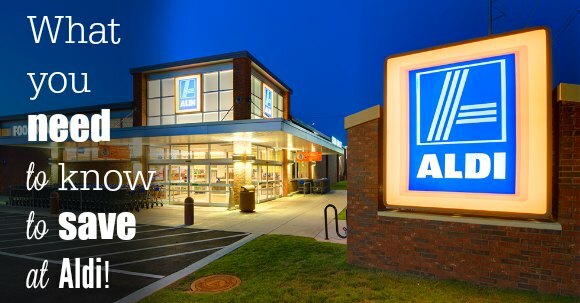 Aldi is one place where you do not want to buy name brand products. These are almost always priced higher – not only higher than the Aldi brand, but higher than they would be at other local stores. There are a ton of products that we buy the generic Aldi brand and we love it. Some of our favorites include: tortilla chips, milk, bread, granola bars… too many to list, really. 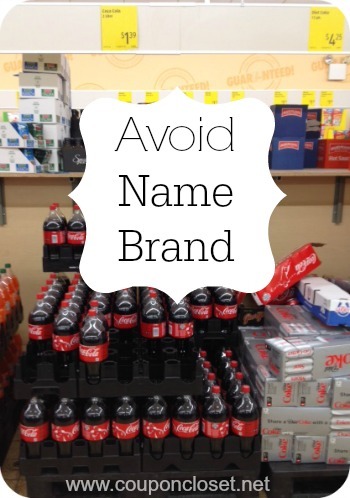 Just give these non-name brand items a try! Your family might like products my family doesn’t and vice versa. I am sure you will find there are many things your family will love just as much as the “normal” brands they are used to. 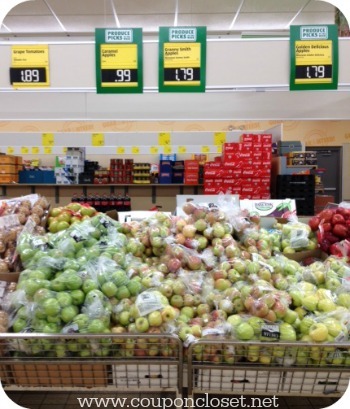 This is probably my favorite thing about Aldi – their produce! Not only is their produce typically cheaper than other local stores, but it tastes great! It always fresh. If for some reason your food is not fresh, you are going to love Aldi’s “Double Guarantee.” If you are not satisfied with your food purchase (let’s say you got home and found fuzzy strawberries), Aldi will refund your money AND replace the item you bought. Now, that’s what I call a win-win situation! 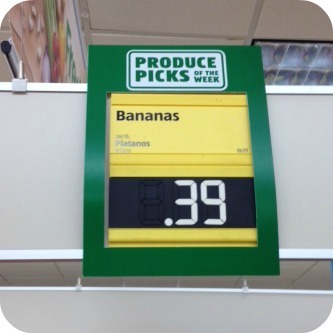 Produce is always cheap, but each week they will will have produce on sale which will help you save even more. Make sure you check out the produce picks of the week each time you save. 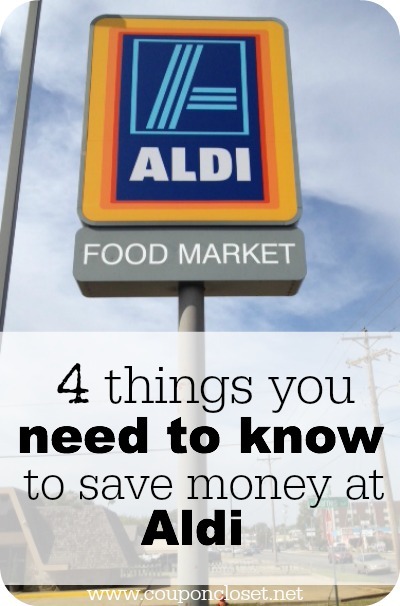 Have you shopped Aldi before? Hopefully, having this information will get you to walk through the doors and try Aldi for yourself. Come back and let us know how your first Aldi shopping trip goes. The best stain remover that cost us just $1! I LOVE Aldi! They’re my favorite store. I buy almost everything there. I only go to the OTHER stores if I HAVE to. I was lost the first time I went in, but now I’m hooked. I will try them this week. I can’t wait and thanks for the tips! !